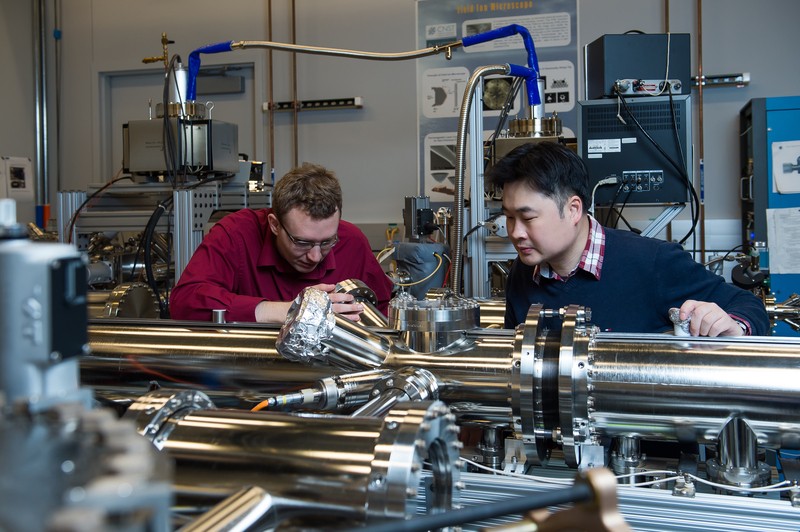 NIST postdocs Daniel Walkup and Sungmin Kim work on an ultrahigh temperature scanning probe microscope system used to study the electronic properties of graphene, an exploratory project funded by NIST’s Innovations in Measurement Science program. NIST’s mission requires deep expertise in a broad range of disciplines. To best position NIST to support U.S. technological interests well into the future, it is essential that NIST maintain a portfolio of exploratory measurement science research programs. NIST invests in higher-risk and potentially transformative measurement science research to stay on the cutting edge of technology trends. NIST requests a total of $58.7 million to develop the next generation of cutting-edge measurement tools, protocols and technologies. This portfolio of programs includes high-risk projects selected through a competitive internal process as well as the NIST National Research Council Postdoctoral Research Associateship Program, which brings researchers of exceptional promise to NIST. 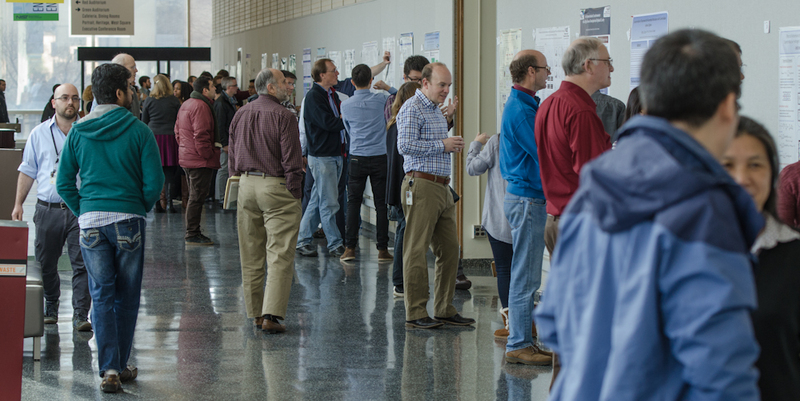 The NIST research community gathers to learn about what its postdocs have been up to at the annual Sigma Xi Postdoctoral Poster Presentation. Superconducting logic circuits promise energy-efficient, high-performance computing, but are limited by memory elements that can’t operate at the low temperatures superconductors need. NIST researchers are developing new measurement capabilities for potential superconducting-compatible memory. Synthetic biology promises an array of world-changing innovations, including using live cells as therapeutics fighting cancer and cell factories that weave advanced materials. NIST’s Genetic Sensor Foundry is creating measurements to improve predictability and scalability in the engineering of biological sensors.